Close to downtown South Deerfield, Bradley Intl Airport and UMass, this hotel offers an indoor pool, coin laundry facility and flat screen TVs! 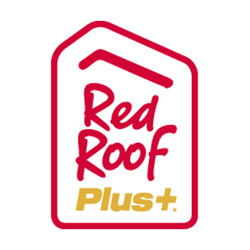 Red Roof PLUS+ South Deerfield Amherst is close to the Yankee Candle Flagship Store on I-91, Bradley International Airport, Worcester Municipal Airport, the University of Massachusetts, Amherst College, Berkshire East Ski Resort, Zip Lining Canopy Tours, Crabapple Whitewater Rafting and Berkshire Brewing Company. Enjoy remodeled rooms at this smoke-free, pet-friendly inn that feature Serta beds, plush bedding, free Wi-Fi and a flat screen TV. Premium rooms are available upon request and include a snack box in your room. This property features an indoor heated pool, a coin laundry facility and interior corridors. Family pets are welcome at this location!